In the midst of bad news like in the recent increment on the prices of interest rate of http://djadrianlivenewclubmuzic.blogspot.com /2016/10/beware-mtn-increases-interest-rate-of.html" target="_blank">MTN extra-time credit and also the new increase in http://djadrianlivenewclubmuzic.blogspot.com /2016/10/sad-etisalat-increases-prices-of.html" target="_blank">Etisalat monthly data bundles, it is good to at least throw up some cheering news. 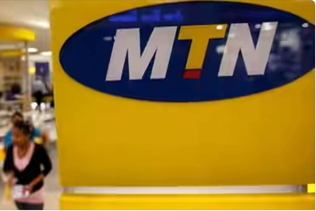 Now for those on http://djadrianlivenewclubmuzic.blogspot.com /2015/05/new-mtn-better-talk-plan-offers-200.html" target="_blank">MTN Better Talk call tariff plan, you have all cause to rejoice as MTN has recently increased the recharge bonus for all Better Talk subscribers from 200% to 250%, which implies a 25% increment. And you should note that this is still applicable on all recharges from N100 and above. For instance, if you now recharge with N100 airtime instead of getting N200 bonus airtime, you will be getting N250 and likewise in other recharges above N100. In order to start enjoying this recharge bonus, you have to migrate to MTN Better Talk call tariff plan, and to do so, simply dial the migration code *123*2*6# then recharge your airtime after that. Finally, you should remember that all calls on MTN Better Talk are charged at flat rate of 40K/S (N24/Min).